The beroNet GSM VoIP Gateway includes 2 or 4 GSM Ports. 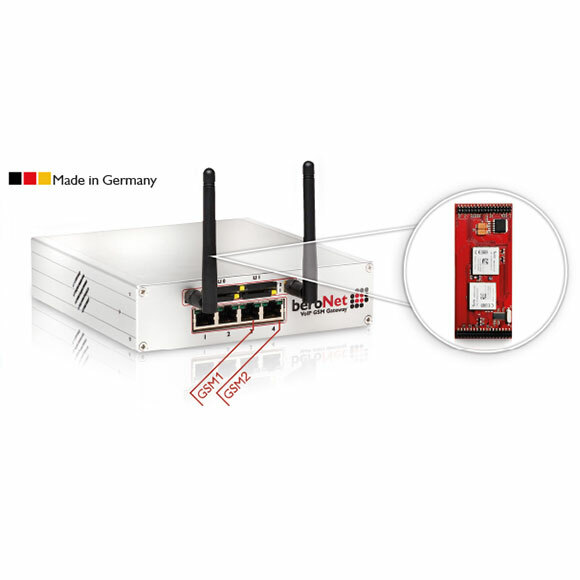 It connects SIP with GSM and supports voice as well as SMS transmission. It offers a SMS interface in form of an API as well as an Outlook Plugin. The beroNet GSM VoIP Gateway can be easily and safely remote managed, configured and updated via the beroNet Cloud. The Gateway can be used as a Least Cost Solution. With a supplementary ISDN Module, calls to fixed lines, mobile as well as calls via VoIP providers are possible. beroNet GSM Gateway’s modular design enables this device to meet any unique need. 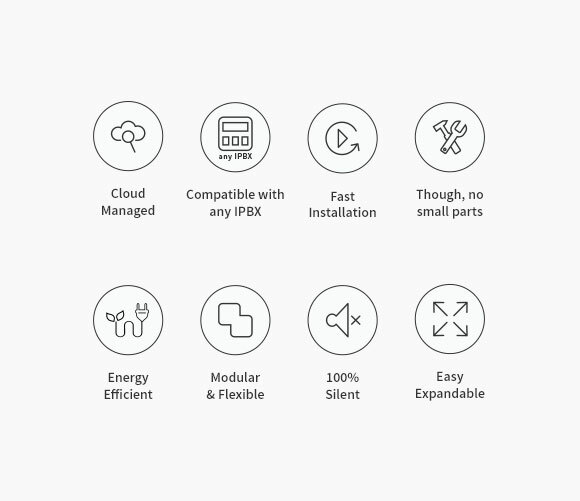 Modular VoIP technology increases adaptability and flexibility by allowing you to change the modules instead of the entire device if it is needed for a different VoIP installation.